"My best friend got married on 13th October so we decided to have a bit of a pamper session the day before. Everyone in the salon was fantastic, we had our own little room to relax in whilst between treatments, manicures and pedicures done by Sarah and Vic and facials done by Sarah. Brenda was on hand with the bubbly and chocolates and iPod. Thanks to you all for a fantastic time at a fantastic price too. Not forgetting Ashleigh and Paula who came along to the wedding venue to do our hair in the morning and Sarah for doing our makeup so perfectly. The whole experience was perfect from start to finish.". 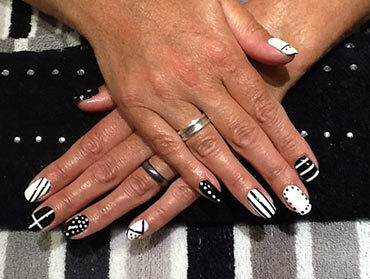 "After visiting many of the top salons in the North East Rockliffe / Slaley Hall / Seaham Hall ect. I can honestly say The House is just as good if not better!! Except here you arnt paying the crazy prices those places charge! I visit the salon on a weekly basis for eyebrows / hair / nails / waxing and never left disappointed. All the staff are lovely and have become close friends to me. I recommend this salon to everyone that I know and always sing everybody praises. 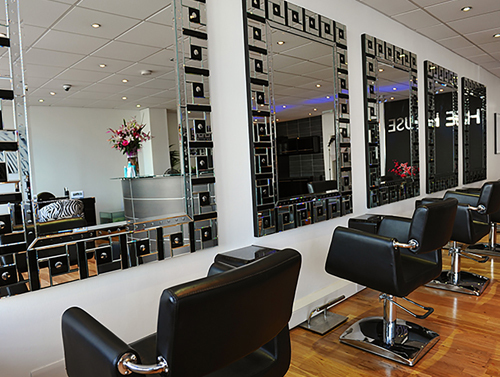 They have fantastic opening times which means there is always time to get pampered no matter how many hours you work! Keep up the hardwork Guys so proud of what you have achieved!". "After looking for salons that carry out the HD brow treatment I found The House and would recommend the girls, and in particular Vic, to EVERYONE!!! With a really welcoming atmosphere and friendly staff I really would no longer go anywhere else to get my treatments. After going for HD brows a couple of times I then tried the LVL lashes and again was amazed at the results! I have recommended the salon too all my family, friends and work colleagues too!!!! and especially Vic! ".